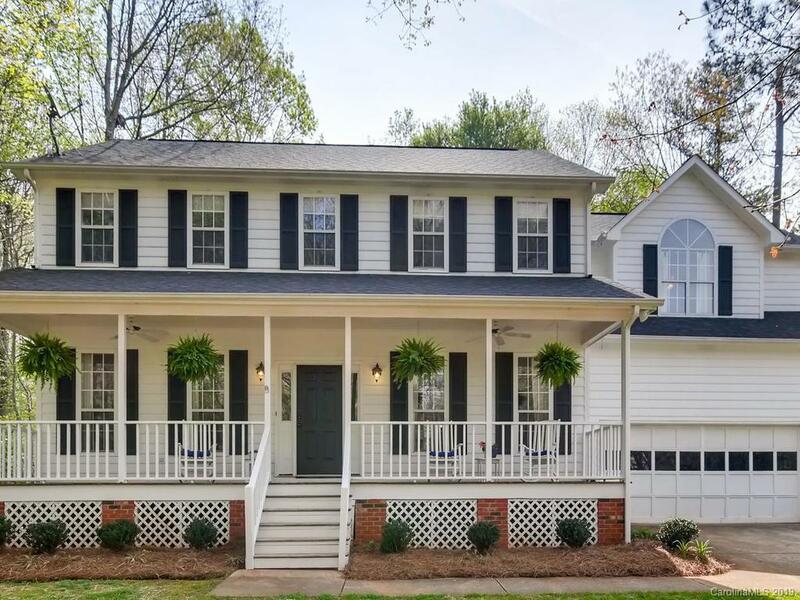 Classic southern living awaits in this 4 bed 2 ½ bath home on almost a half acre in sought after Country Woods East. Sit and relax on the large rocking chair front porch as you listen to the tranquility of the neighborhood. This home boasts a sweeping foyer and large accommodating rooms throughout. French doors in the kitchen lead out to the deck which overlooks a large private backyard perfect for entertaining. Upstairs you will find 4 bedrooms which includes a huge master bathroom that has plenty of space and offers a large soaking tub and walk in closet. Conveniently located to shopping, restaurants, 485 and desirable Union County schools. Fresh paint, newly cleaned carpets and hardwoods throughout plus a two car attached garage. Come see all this home has to offer!